If your vinyl siding has seen better days or you no longer like its color, save big bucks by painting it instead of replacing it. 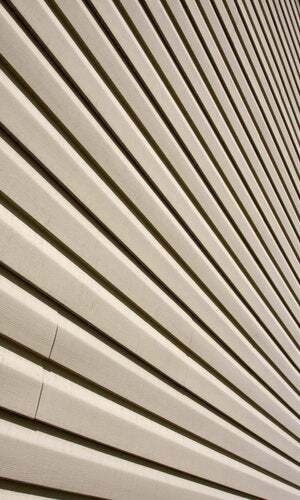 A sensible siding solution, vinyl remains a popular, budget-friendly choice for home exteriors. People have always loved its low maintenance requirements, and the material has only gotten better, benefiting over the years from advancements in manufacturing. Even so, it’s not—and never likely to be—invincible. If your siding is looking faded or worn, or if you’ve just grown tired of the color, you might be wondering: “Can you paint vinyl siding?” Yes, you can! Of course, painting vinyl siding is a large project, to be sure, but it’s not a particularly complicated one. You may fear that in order to paint vinyl successfully, you will need to learn a new set of idiosyncratic, vinyl-only techniques. Fortunately, that’s not the case. The following instructions will take you through steps that will be familiar if you’ve painted anything else before. Plus, we’ll detail the handful of vinyl-specific considerations that you’ll need to keep in mind to be get the job done right. Work only in suitable weather; avoid hot, humid, or windy days. Choose the proper paint (latex urethane formulated for outdoor use). Prepare the vinyl surface by cleaning it thoroughly. Apply primer, if necessary, then two coats of paint. Continue reading for full details on each step of the process. STEP 1: Work only in suitable weather. Before heading outdoors to get the project under way, first consult the weather forecast for your area. Painting vinyl siding in ideal conditions means waiting for mild temperatures, low relative humidity, and an overcast sky. If the weather’s too hot, too sunny, or even too windy, the paint may fail to go on properly. Yes, it might look fine in the short term, but paint applied on a hot, humid, or gusty day may adhere poorly and be more prone to cracking and flaking over time. STEP 2: Choose the proper paint. contain acrylic and urethane resins; these ingredients, which accommodate the expansion and contraction of vinyl, help the coating to stick. be the same shade or lighter than the current color; darker colors retain more heat and leave the siding vulnerable to premature warping. In other words, painting vinyl siding requires a latex urethane paint formulated for exterior use. You should also shy away from dark colors, which may create more maintenance problems. A thorough cleaning is a critical first step toward achieving a professional-quality paint job—not only on vinyl, but on any material, indoors or out. Just running the hose over the siding won’t cut it. 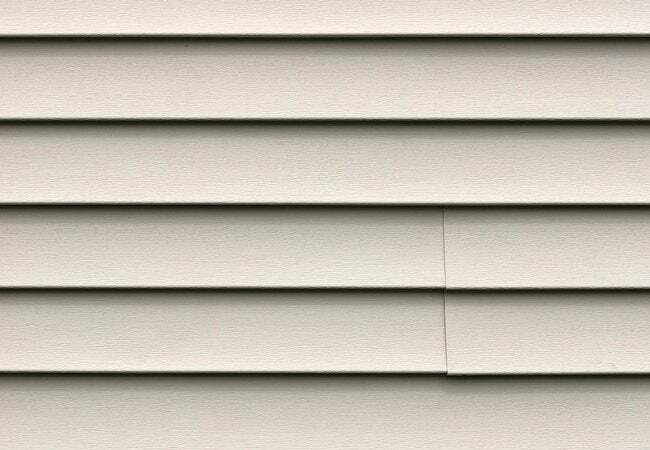 We’ve covered how to clean vinyl siding in the past. The goal is to remove all mold, mildew, chalky buildup, and debris from the surface. Use a cloth or a soft-bristled brush to apply the cleaning solution before painting vinyl siding, then be sure to rinse off any remaining residue. Before going any further, allow enough time for the siding to dry completely. STEP 4: Apply primer, if necessary, then two coats of paint. Primer isn’t necessary unless the original color has completely worn away, or has become pitted or porous. Apply your chosen paint with a roller or even a paint sprayer, saving brushwork for corners and edges. Evenly coat the entire surface, taking care not to apply too much paint in any one section. As in most other types of paint jobs, it’s better to do multiple thin coats than one thick coat. Upon finishing the first coat, let the paint dry—if not completely, then mostly—before continuing on to the second. The second coat, however, must be given enough time (24 hours at most) to dry completely before the project can be considered complete. Most of the time, two coats are sufficient—but not always. Once you have allowed the second coat of paint to dry completely, assess its appearance to determine whether an additional coat may be needed. This is all much easier said than done, of course. Painting the home exterior (and painting vinyl siding) is a large, laborious job. The silver lining is this: Assuming that you properly cleaned the siding prior to painting, you can expect the application to last 10 years!